Obstacle course races, like Tough Mudder, Rugged Maniac, and Warrior Dash, are super popular right now. They’re a ton of fun and challenge participants in a different way than traditional road races. Obstacle course races, like Tough Mudder, Rugged Maniac, and Warrior Dash, are super popular right now. They’re a ton of fun and challenge participants in a different way than traditional road races. During these events, participants climb over walls, scurry through tunnels, and even navigate fire pits in order to finish. If you’re thinking about participating in one of these races, here are some tips to help you survive it! Wear sneakers and clothing you don’t care about ruining. 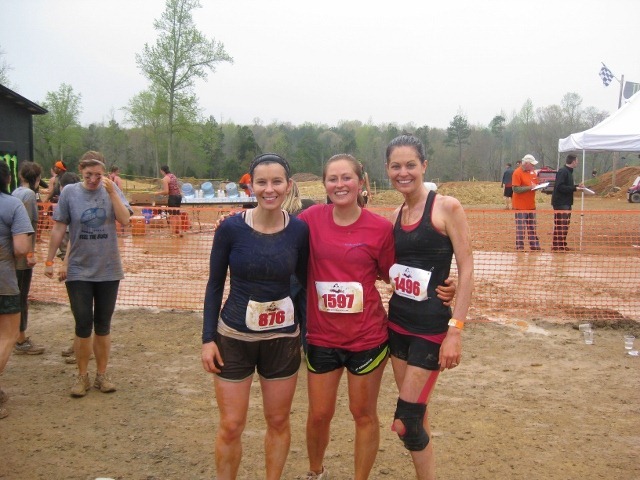 When I ran my first obstacle course race, I knew I would get dirty, but I didn’t think I’d be soaking wet and covered head-to-toe in caked-on mud at the end. I thought maybe my gear wouldn't survive the race, so I wore sneakers and clothing that I didn’t care about wrecking. After the race, I ended up keeping some of my gear and washing it, but mostly everything else was totally disgusting and ended up in the trash. The majority of these obstacle course races have you crawling under barbed wire, through dark tunnels, and up cargo nets, so you want to wear clothing that doesn’t hang off of your body because it can get caught and trip you up (in barbed wire, for example). And, once you get all wet and muddy, you don’t want loose clothing weighing you down and making you feel uncomfortable. 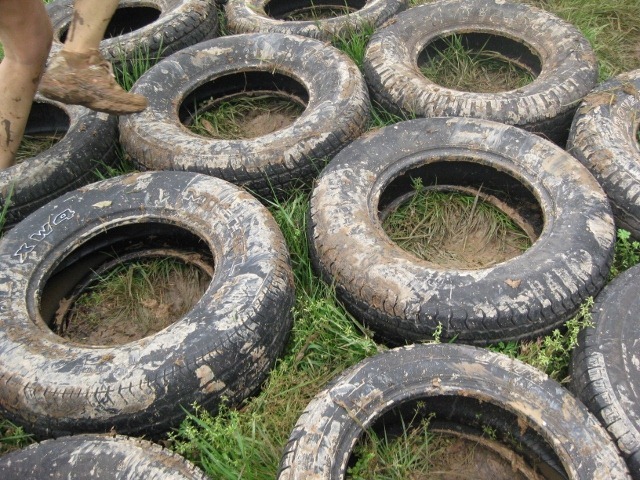 Many obstacle courses involve beds of deep, thick mud to challenge participants and, of course, get them all dirty. (Isn't that half the fun of these kinds of races?) 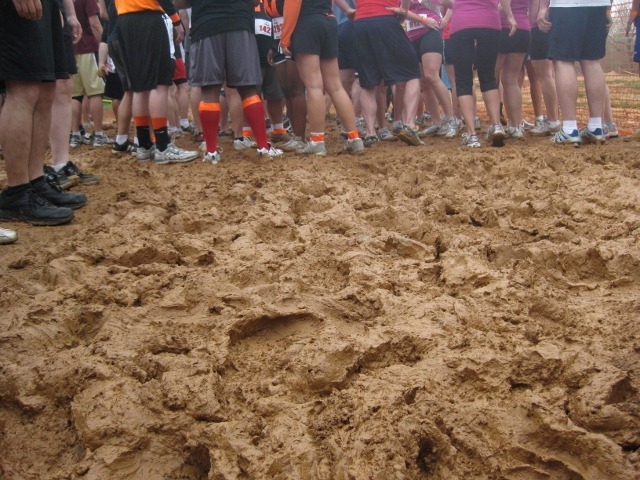 When I did the Rugged Maniac, I saw a bunch of people lose their sneakers when trying to run through these mud pits, so make sure you tie them tight. Otherwise, they’ll get stuck in the mud and slow you down. Plus, you don't want mud in your sneakers, right? Pack a towel and soap. After the race, you might want to hang out and enjoy the post-race activities and celebration. 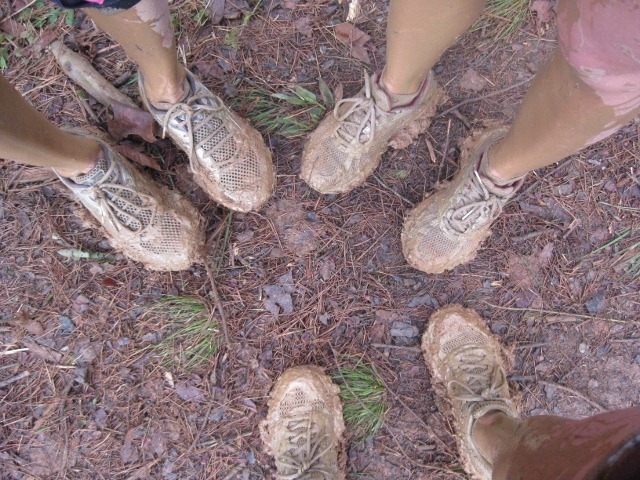 Instead of standing around in muddy, wet clothing, bring a towel, soap (or body wash), and a change of clothing. Most races have outdoor showers or hoses where you can rinse off and get clean. Bring a bunch of plastic bags. Plastic bags are key after the race. Everything you own will be wet and muddy, so having a few plastic bags on hand so you can salvage wet gear and protect the rest of your stuff from getting wet and muddy. Don't stress about your time. Even though it's a race, don't stress about getting a great time. Focus on simply completing all of the obstacles and finishing the race. You'll be sure to have a great time!